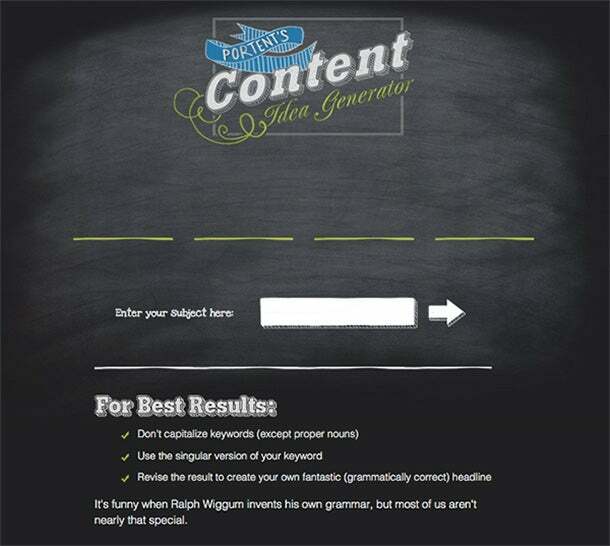 Stumped on the latest topic for your company's blog? Sweating bullets and banging your head against your keyboard hoping to rattle loose something catchy, thought-provoking, persuasive? After wading through the mire that is the field of topic generators out there, here are my favorites. Oh, and they're free, too. Phew...! HubSpot is the biggest tool in the world for marketing automation. Type in three keywords you want to work with and click "GIVE ME BLOG TOPICS." The tool will provide a list of related topics. Not all will be suitable, but you’ll find a few good ones. The majority of blog topic generator tools lets you put in keywords you want to write about and then creates topic possibilities. Build Your Own Blog is slightly different in that you just tap the “generate blog post idea” button, and off you go. You’ll need to tailor these random suggestions to fit your target audience and your article’s content.